She defied her social status, her gender, and held firm in her faith that she was selected by God to win a war for France. A teenage girl received mystical visions from God, gained the confidence of a prince, and became a warrioress that led a nation to victory. Joan’s story sounds more akin to fiction than fact, but because she was such a controversial figure there are many court records of her interviews and trials that have provided solid evidence for her biography. 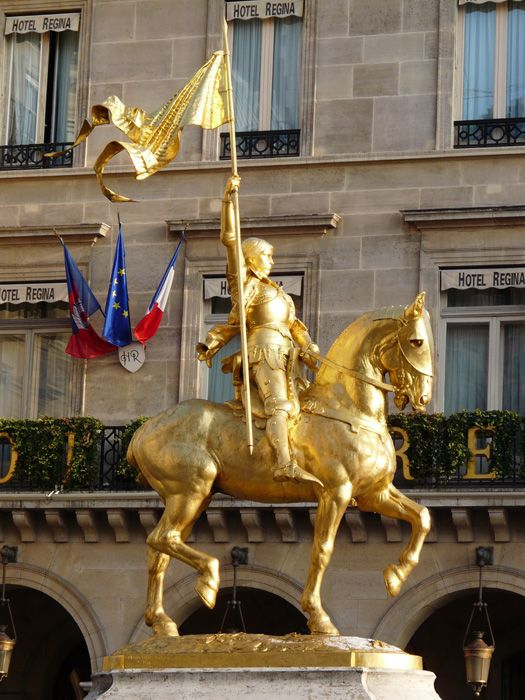 Joan of Arc was a mere peasant girl living in obscurity during medieval France when she began receiving mystical visions from God. She believed God was telling her that she was to lead France to victory after being at war with England for years (later known as the Hundred Years’ War). What could have inspired Joan to have confidence in her visions and to act on them? She easily could have ignored what she had heard and remained in her station as a peasant. But, Joan dared to appear in the court of Prince Charles VII and was able to convince him that she should lead a French army to the city of Orléans. 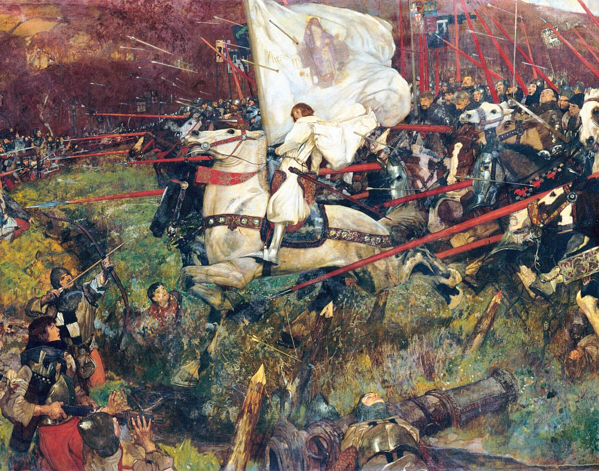 Joan set off for the battle in 1429 dressed in white armor and riding a white horse; the description of which has captured the imagination of many artists for centuries like the painting below. To the astonishment of all, she proved everyone right by achieving a momentous victory for the French over the English. Following her victory, she had the audacity to write a letter to the king of England, which could only be described as medieval smack talk. Shortly after, the prince was crowned King Charles VII and ordered Joan to counter-attack the Burgundians, a group English Allies who had descended up the town Compiégne. 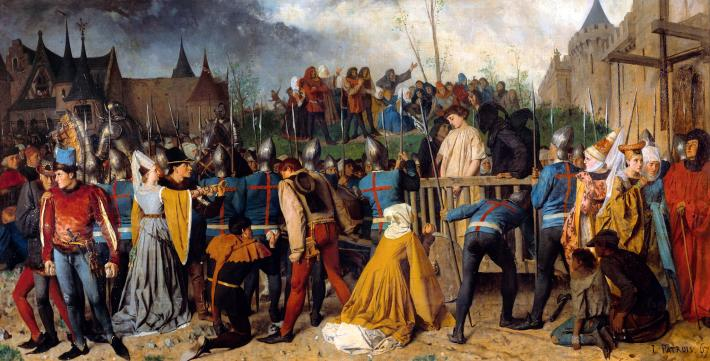 During the skirmish, Joan was thrown from her horse and was taken captive by the Burgundians who put her on trial for witchcraft, heresy and for dressing like a man. Having only recently been crowned, King Charles VII distanced himself from the accused heretic and witch, and made no attempt to negotiate for Joan’s release. After a year of being held in captivity, Joan surrendered and denied having ever received divine guidance. However, just days later she recanted her statement declaring that she had only done so out of fear of the fire. On May 20, at the young age of 19, Joan was taken to the center of Rouen and burned at the stake. Posthumously, Joan was cleared of her charges 20 years later through a new trial ordered by King Charles VII and was canonized as a Saint by Pope Benedict XV in 1920. Joan had attained mythical status long before her name was cleared and inducted into Sainthood. Her life has inspired numerous works of art and literature over the centuries. Her story is all-too fitting for the opera, with mystical inspiration, divine intervention, persuasion of royalty, and death-defying acts of bravery in more than one epic battle. Composers all over the world have set her narrative to music and they demand artistically heroic efforts from the performances. 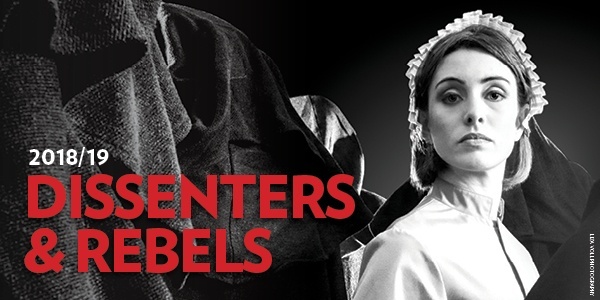 A few notable examples include Tchaikovsky’s four-act opera The Maid of Orleans (1881); Verdi’s opera Giovanna D’Arco (1845), and Arthur Honegger’s Jeanne d'Arc au bûcher (1939), an oratorio with text by French poet, Paul Claudel. (All three were produced locally in the 2017/18 Season by Odyssey Opera.) Honegger’s unusual composition was recently performed the work in 2015 with the New York Philharmonic at Avery Fisher Hall and featured French actress, Marion Cotillard, as Jeanne. Each composer approaches Joan’s story very differently, but all capture the magnitude of her impact on the history of a country, as a women who dared to defy worldly constraints in order to achieve her purpose.